The Big pond is situated near Kutná Hora. You can get there by taking a pleasant walk along the „mills trail“. 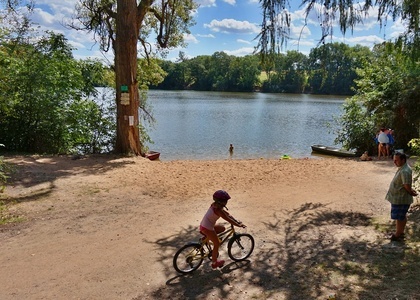 The trail is 4,7 km long and leads through a natural valley upstream the Vrchlice river, following the red tourist trail from Palacký Square in Kutná Hora to the edge of the Big pond. 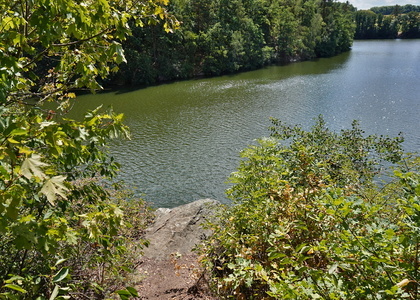 In the past, the pond was also called the King's lower pond. This pond was re-established by the Millers Association of Kutná Hora („Obickorybniční společnost“) in 1850. It was created by the flooding of two mills (Obický and Stračovský) so as to form a dam in the valley, which used to help retain water and regulate water flow for the mills and other industrial businesses downstream. There are two overflow outlets cut in the rocks, one along each side of the dam, which form beautiful waterfalls. The pond has a rectangular shape and the flooded area is 96 hectares. 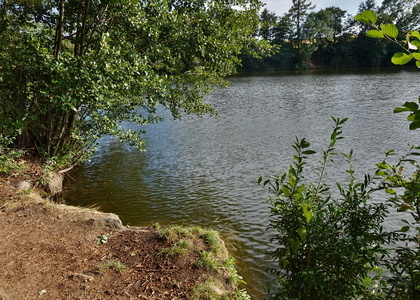 The Big pond is a popular spot for swimming. The water is clean but usually somewhat colder. 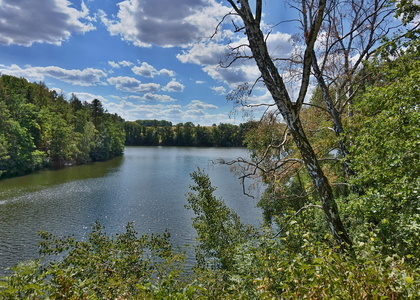 The shores of the pond are mostly covered by forest. Access to water is both rocky and grassy. 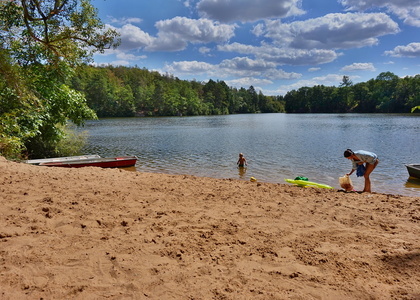 There is a small sand beach accessible from the recreational cottage village. You can also access the pond by car via the village Bylany, but note that there are not many parking spots. One small parking area is located above the cottage village with a short walk to the beach. 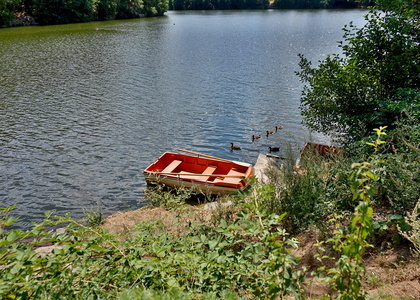 The pond is also accessible by car from the town of Malešov near the caravan site. Parking spaces here are also limited.